On Friday the 17th of September, it’s gonna be the 16th edition and therefore new artists and art pieces will be exhibited. Take a look as even outside there’s an open air gallery! 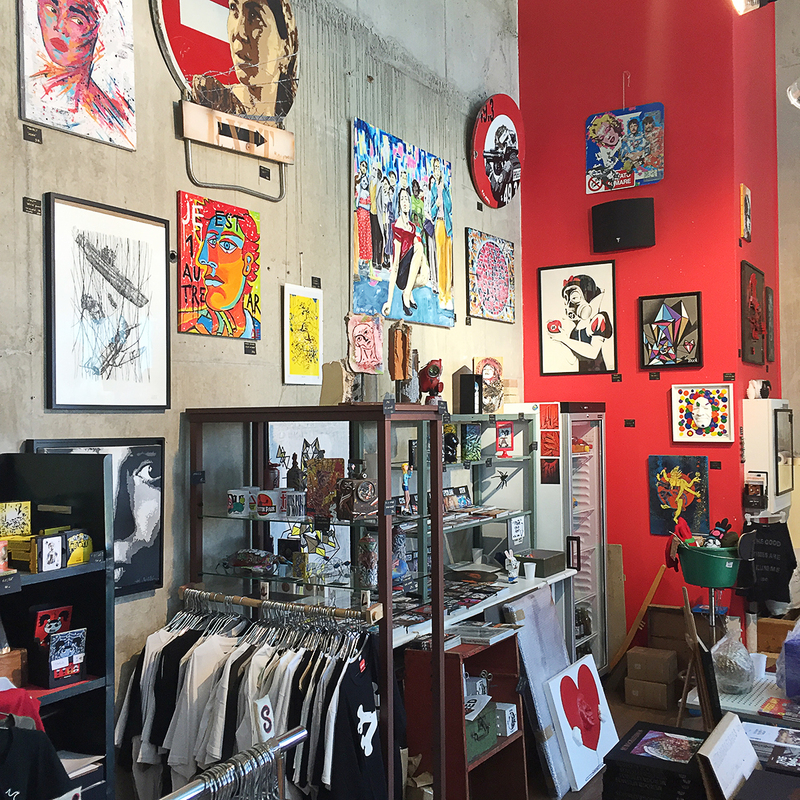 Inside, as well as the current exhibition, you can find a lovely arty boutique where you can buy some books (huge collection), some vinyls (rock and punk), tees, postcards and stickers, … and much more! Please note the 27th of August in your agenda as a new solo show of Gregos is planned! The exhibition is called « La Tête au Carré » – opening night planned on Saturday 27th of August from 5pm. If you don’t know (yet) GREGOS, I invite you to read the interview we did a few years ago available here to know more about this talented Parisian artist. Today, a thousand of his faces have been pasted throughout the world and mostly in Paris, where he lives. He is feeling very well after his NYC visit where he pasted a hundred of his faces on the city walls. 7 x 4 = ? Tagnetic Poetry by Roy Tanck and Merel Zwart requires Flash Player 9 or better. Texts, translations and photos are owned exclusively by the authors and cannot be used without express written permission.